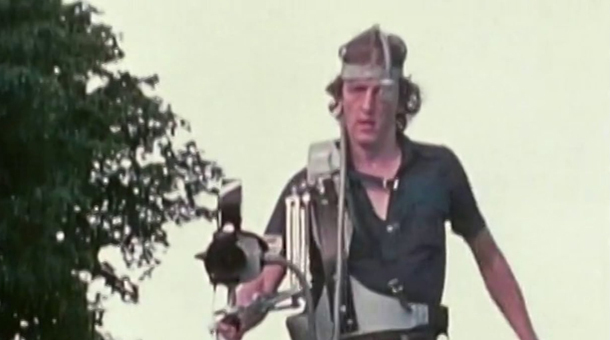 Three-time Oscar-winning Steadicam inventor Garrett Brown holds over 50 patents to various inventions that have changed the way we view images. But he may have also unknowingly invented the first viral video back in 1974, long before YouTube became a household name. 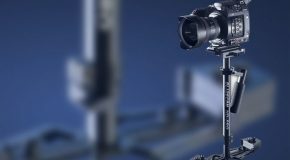 Brown, who was making commercials and films for Sesame Street in Philadelphia at the time, was sick of working with a huge bulky camera dolly and wanted to find a solution that let him walk freely yet have smooth images. So he took matters into his own hands and came up with the Steadicam. Brown started using it on his commercials, but soon realized he was onto something much bigger. He created a demo reel of 30 Impossible Shots, the very first cinematic use of the Steadicam that included shots of a friend swimming the length of a pool and his wife running across a park and up and down the Philadelphia Art Museum steps. The resulting footage is stunningly beautiful, opening up an entirely new realm of possibility for how films are shot. Brown sent the reel to Hollywood where it blew up overnight, creating possibly the world’s first viral video. Impossible Shots was passed around to many key players, who were mesmerized that such filming was suddenly possible without building dolly tracks. It was clear that filmmaking would never be the same. As with most viral-video creators, Brown’s life was never the same again. 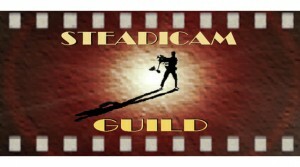 John Avildsen got a copy of his Steadicam shots and called Brown up for Rocky. They recreated the scene on the now famous Art Museum steps with Sylvester Stallone that became the victory shot of his training sequence. 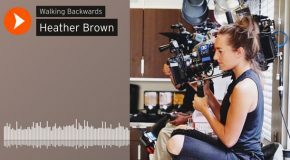 Of the 30 original shots included on the reel, Brown has been able to salvage and digitize 10 of them, to be shown to the Locarno Film Festival’s Summer Academy students on Friday. The 67th edition of the festival in Switzerland will honor Brown with its Vision Award. He’ll also teach a masterclass as part of the festivities. This is the first time Brown has put Impossible Shots online, and now the original viral video has gone full circle. Another invention that was key to The Shining was a special wheelchair designed by Kubrick and Ron Ford that carried Brown and the Steadicam along for the infamous shot of Danny riding his tricycle through the hallways of the Overlook hotel. “Stanley and I would argue about the details, how it should be arranged and so on. There was a little bit of inventor-possessiveness there,” says Brown.